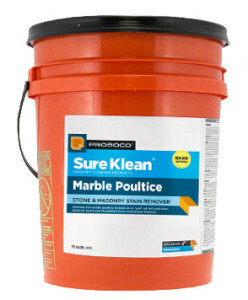 Restoration Direct sells building restoration chemicals at a great price and ships them nationwide. We also sell our Cobra Chemical Sprayers which will change the way you work and save you countless hours of back-breaking, expensive labor. Restoration Direct was founded by Robert Port over 40 years ago. Our mission is simple. Buildings exteriors get old and dirty. Masons, building cleaning, and restoration specialists are hired to clean them. Restoration Direct aims to provide those industry experts with the right chemicals for any building restoration task, the expertise to help them choose the right chemicals, and high-capacity chemical sprayers to help them apply those chemicals with maximum efficiency. Restoration Direct sells chemicals from the biggest names in the building cleaning and restoration industry including Diedrich, Dumond, Evonik, Prosoco & others. View our store to see the chemicals we have available. Many of our chemicals are shipped direct from the manufacturer which saves you money on shipping. Restoration Direct offers discounts and even free shipping on bulk orders. Many restoration specialists still apply chemicals with inferior sprayers with a maximum output of 10 gallons of chemical treatment per hour. These inferior sprayers need regular replacement because they’re not designed to spray chemicals used by the restoration industry. Fortunately, there’s a better tool for the job. 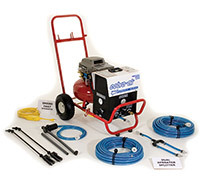 Restoration Direct’s founder Robert Port created the Cobra Chemical Sprayer to solve the reliability and efficiency problems caused by traditional chemical sprayers. Each model in the Cobra Chemical Sprayer line is capable of processing 2-3 gallons of restoration chemicals per minute. This high-output, low-overspray technology will have you out-performing, out-spraying, and under-bidding your competition on every job.